Another great kid that I met at the reception. 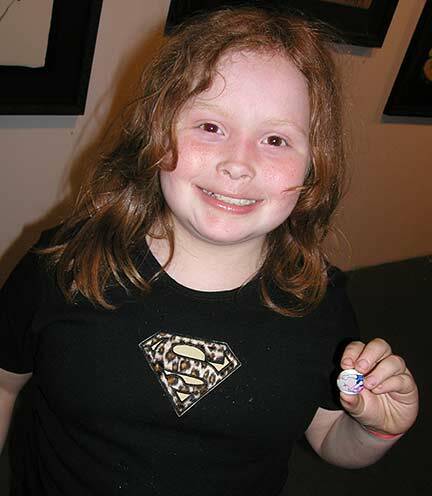 Ruadhan Ward, a 9-year old student from Milwaukee, is seen here holding the Duck Duck Goose button she bought at the show. I remember her approaching the merchandise table saying, "I'd like to buy a button, please. I like the goose!" Wear it with pride, Ruadhan!